Don’t order French Fries in Belgium! Dating back to the 1600’s, people in the French speaking region of Belgium (Wallonia) experienced a shortage of river fish that they would usually catch and fry up in the winter. Someone got the idea to cut potatoes, a recent import from South America, into small slivers, shaped somewhat like the little fish, and fry them up instead. And voilà, the frite was born. It was American servicemen helping to liberate Belgium in WWI who wrongly gave them the name “French fries”, presumably because the people in Wallonia spoke French. Belgium recently applied to UNESCO to give their frites world heritage status, so, yeah, they take them pretty seriously. Please don’t ask a Belgian waiter for French fries, unless you would like this history lesson repeated each time you do! 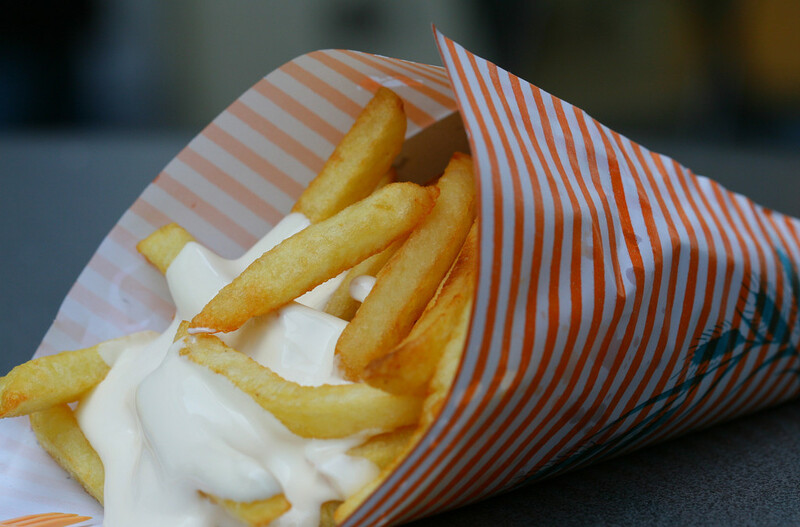 You can get good frites at pretty much any decent restaurant in Belgium. 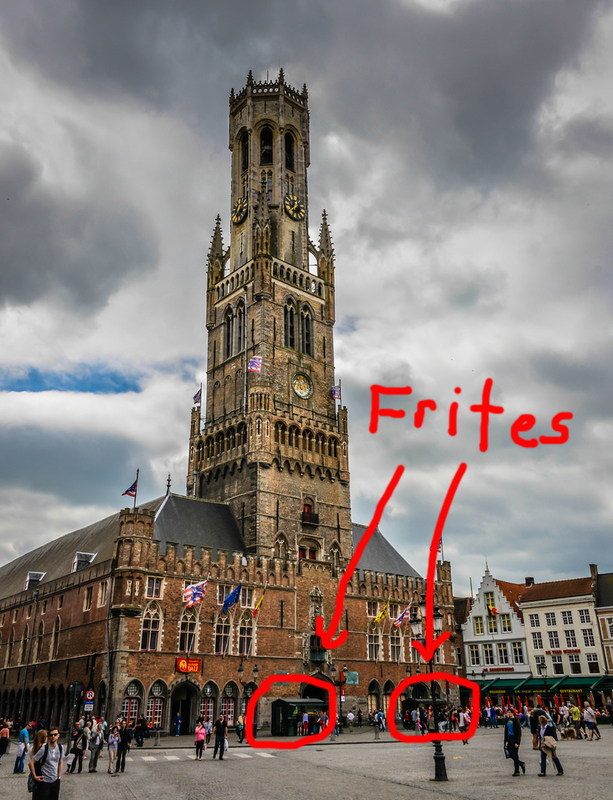 In Bruges, I like to get them from one of the two historic frituur at the base of the towering Belfort on Market Square. Just look for the little green structures. They are generally open 10:00 to 24:00, but sometimes later on the weekends. Cheap – just a few euros for a small (which is plenty for one person). And if you really don’t want mayo or one of the other unique sauces with your fries, you can ask for ketchup. They won’t laugh at you. OneLife Tours is dedicated to the absolute best in European travel experiences for our small groups. If you want your travel in Europe to be authentic and focussed on being a “temporary local” then we’re your company! 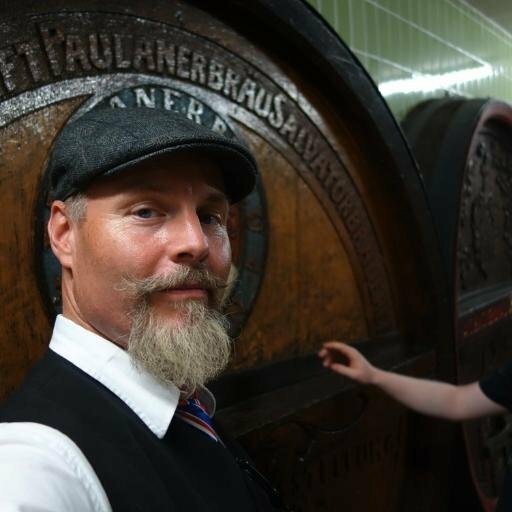 Is the Blood of Christ in Europe?